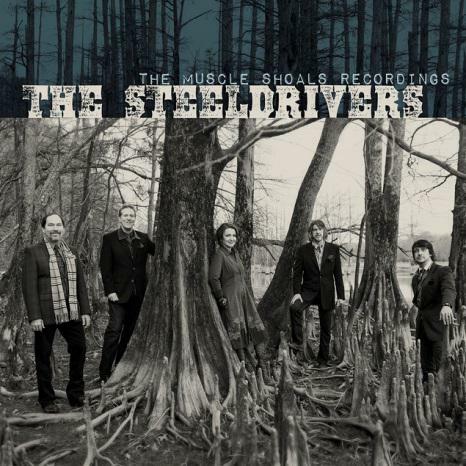 Rounder Records’ group, The SteelDrivers is taking 2016 by storm, having already sold out a majority of its shows leading into the spring, winning a first-time GRAMMY® award for the acclaimed #1 album The Muscle Shoals Recordings, and joining former bandmate Chris Stapleton at his sold-out concert at The Ryman Auditorium in Nashville, Tennessee. For more information, please visit The SteelDrivers’ website here. “‘Magic’ is the best word to describe what happened last week,” continues SteelDriver Tammy Rogers King. “Winning the award and being recognized with all of our close friends was such an honor. To all get to celebrate our first Grammy win together is something we will never forget. Another event that cannot be topped was joining our friend Chris Stapleton for a reunion at The Ryman. Man, we are just feeling so blessed right now,” she added. The band is quickly becoming one of the hottest tickets these days, having sold out over 90% of shows announced to date this year, including Huntsville, Kansas City, Denver, and Asheville. Be sure to check out the award-winning band on the road, or check out their YouTube channel for various performances from Paste Magazine, Relix, Music City Roots, Rolling Stone, Country Weekly, Bluegrass Underground, and many more. A complete list of upcoming tour dates is available here.